We need to go way back to 1988, this is when the Bologna based seminal Label 'Irma Records' released its first single 'First Job' by Kekkotronics & LTJ. It's been 30 years since that day and the sound first introduced by the Label back then is now coming back as strong as ever, mainly rediscovered by those who lived through that era and the younger generation in love with dance music and House Music in general. Among those who wrote the history of the Italian House scene, the one and only Carlo Troja, aka Don Carlos was definitely at the helm. In 1991, Irma Records released it's first single 'Alone', which immediately became a cult record for British DJs but mainly American DJs. 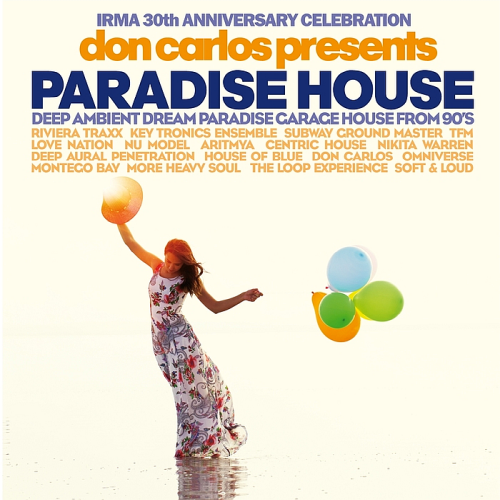 Its particular soft and ambient sounds defined a genre that was then called 'Paradise House'.